President Donald Trump has nominated former Delta Airlines executive Stephen Dickson to be the next administrator of the FAA. The post has been held by acting administrator Daniel Elwell since Michael Huerta stepped down early in 2018. Dickson was senior vice president of flight operations for Delta Air Lines. The nomination will be forwarded to the U.S. Senate for consideration and confirmation. Dickson was a fighter pilot in the U.S. Air Force before becoming a pilot for Delta, where he flew Boeing 737s among other airplanes, for the carrier. The 737 experience may be in part responsible for his nomination, given the current issues with Boeing's new 737 MAX airliners. 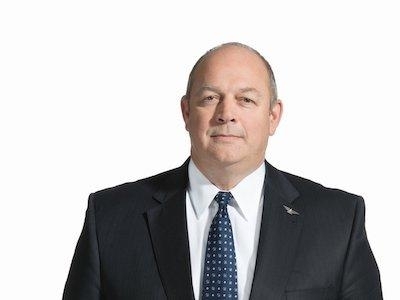 A longtime Delta Air Lines captain, Dickson served as the carrier’s senior vice president of global flight operations across six continents, involving training, technical support, staffing, scheduling, quality assurance and regulatory compliance for more than 13,000 pilots. He is a graduate of the U.S. Air Force Academy and former F-15 pilot. “We look forward to working with Steve in support of the continuing modernization initiatives that ensure America’s aviation system remains the world’s best,” Bolen (pictured) continued. 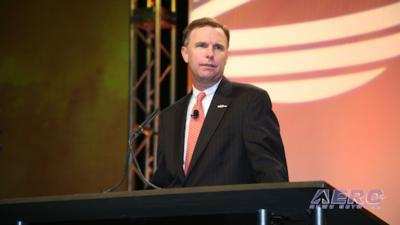 Bolen also expressed his appreciation for current FAA Acting Administrator Dan Elwell’s service to the agency, noting his “steadfast professionalism in leading the agency through this period of transition.” Elwell spoke last year at NBAA’s Business Aviation Convention & Exhibition (NBAA-BACE) in Orlando, FL. “ALPA congratulates Steve Dickson on his nomination to lead the safest and most complex aviation system in the world," the union said in a media statement. “Capt. Dickson’s extensive transportation experience would give him, if confirmed, a unique opportunity to enhance the safety of commercial aviation and we look forward to learning more about his vision on working collaboratively to protect and advance the safety of our national airspace. His nomination comes at a particularly critical time for the FAA, and it is our hope and expectation that the first of order business for him will be to reaffirm the agency’s steadfast commitment to safety. “We congratulate Steve Dickson on this step in his career, and we look forward to working with him on issues important to the helicopter community,” said Matt Zuccaro, president and CEO of HAI.